As beautiful as the warm weather is, 40 plus degree days make for sweaty, sooky babies. Rather than retreating to the indoors, embrace the season with the help of a few cooling products to keep baby cool. 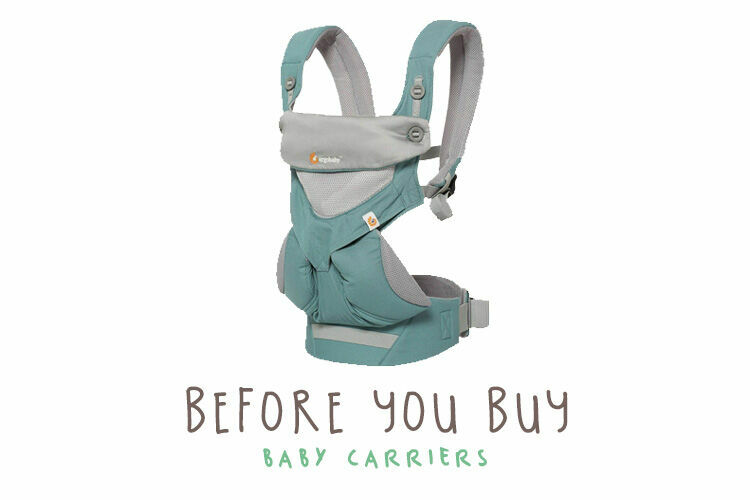 From moisture wicking pram liners to neoprene baby carriers, there’s something for every occasion. 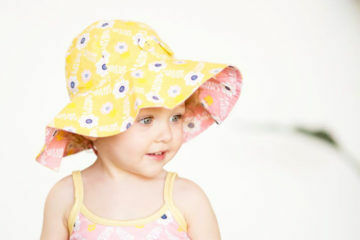 Here are eight clever products to help keep babies cool when the mercury rises. A stroller can get pretty warm in summer, but this genius liner is all about helping bub keep their cool. 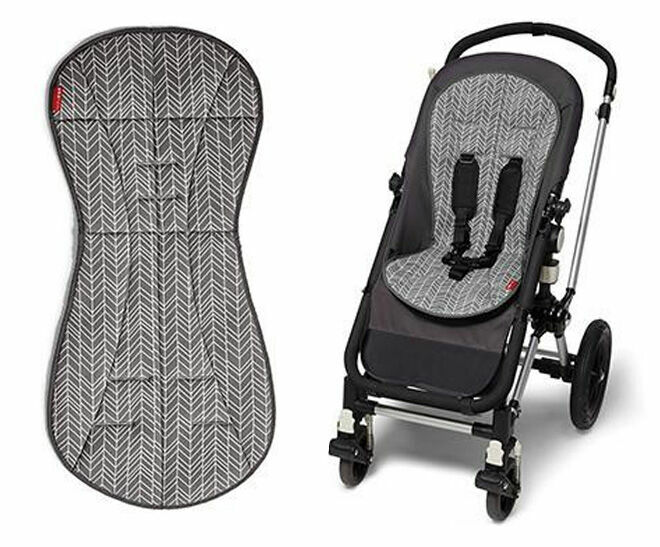 The top layer of the Skip Hop Stroll & Go Cool Touch Stroller Liner ($49.95) helps wick away moisture. The bottom mesh layer helps airflow and the quilted channels fend off warm air. Say goodbye to sweaty little mermaids in summer. A gentle breeze on a summer’s day, is there anything sweeter? PramFans ($12) attaches to a pram or stroller and are safe for little hands. The sleeping bag in summer dilemma is easily solved with a breathable, mesh-like alternative. 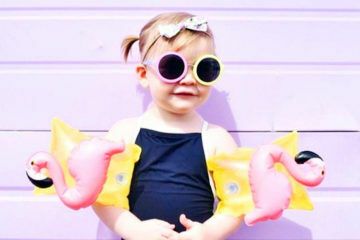 The Convertible Summer Woombie ($49.95) has special vents that help keep slumbering babes cool. The stretchy air cotton fabric also lets little limbs move and breathe. These cute critters are actually designed to help ease the pain of bumps and boo-boos, but we won’t tell the kids if you don’t! Grab a BodyICE Kids pack ($14.95) out of the freezer and pop it onto your little one’s wrist or forehead for cool relief. 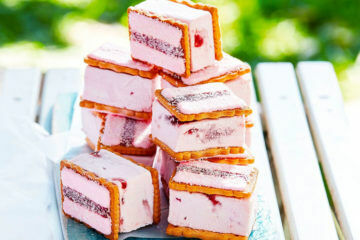 These can even be used to keep lunchbox snacks cool. We love the Aussie sun, but not when it’s beating down on our bubs. 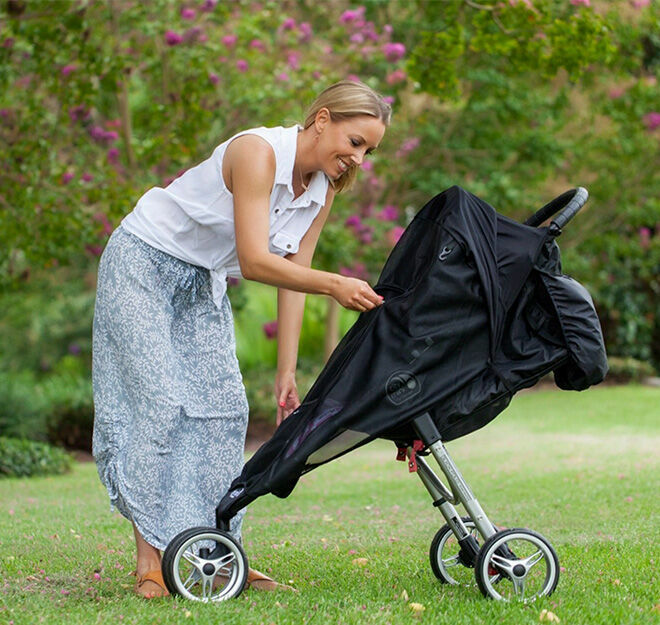 Keep pram rides cool and comfy with a shade that’s designed to protect from the sun. The Shade-a-Babe ($59.95) has a UPF50+ shade visor/eye shield and a pull-down visor to keep teeny eyes and faces protected. Baby cuddles are awesome, but sweaty snuggles in summer aren’t fun for anyone. 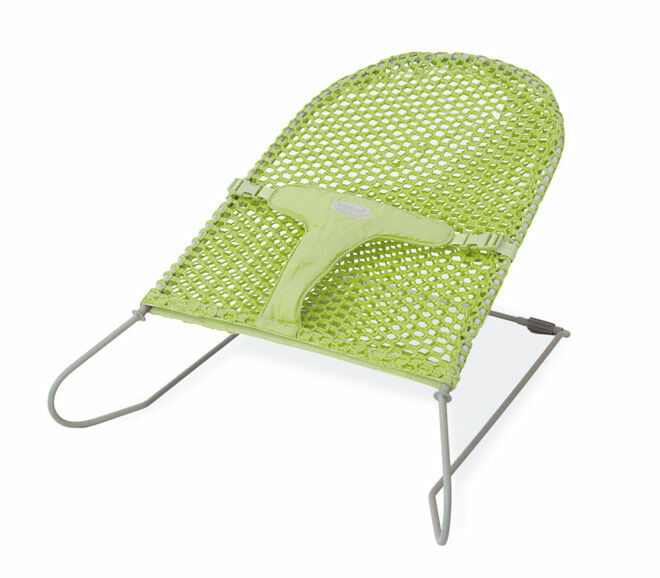 A mesh bouncer ($59.95) lets baby’s skin breath, and lets you both have some time to cool down. This gem is designed to keep the car seat dry if the kids have a little accident, but it’s also fantastic for absorbing sweat. 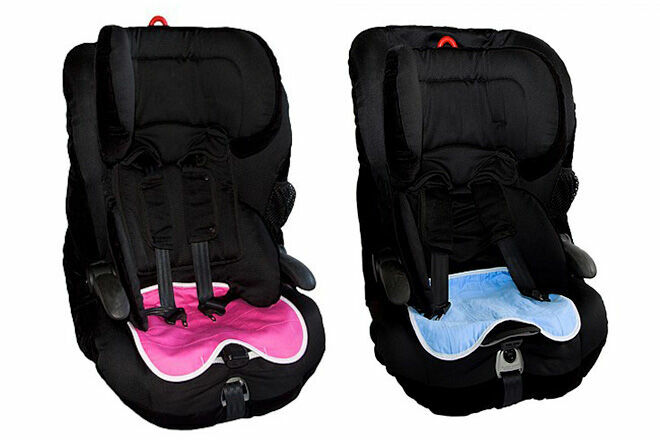 A Waterproof Car Seat Protector ($19.95) is also fab if you’ve just been to the beach or pool – wet togs will keep the kids cool but the seat will stay dry. 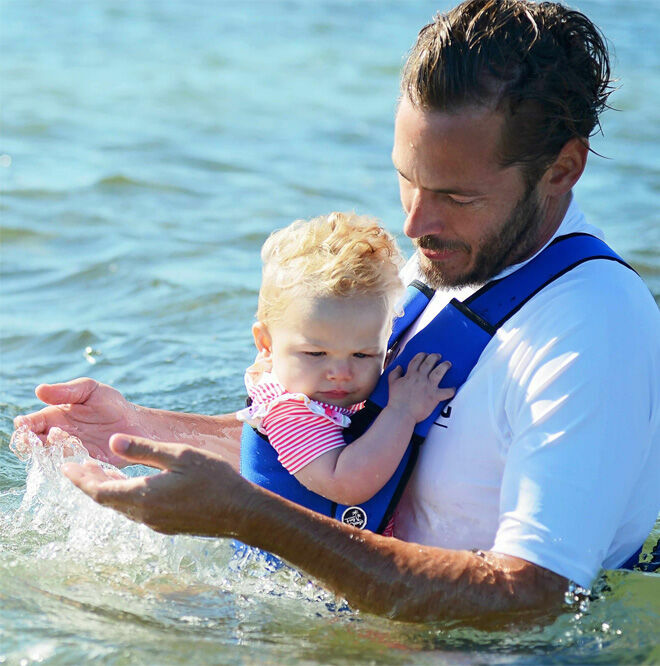 A supremely clever way to safely take your tot for a dip is popping them in a baby carrier. But most aren’t designed to get wet. 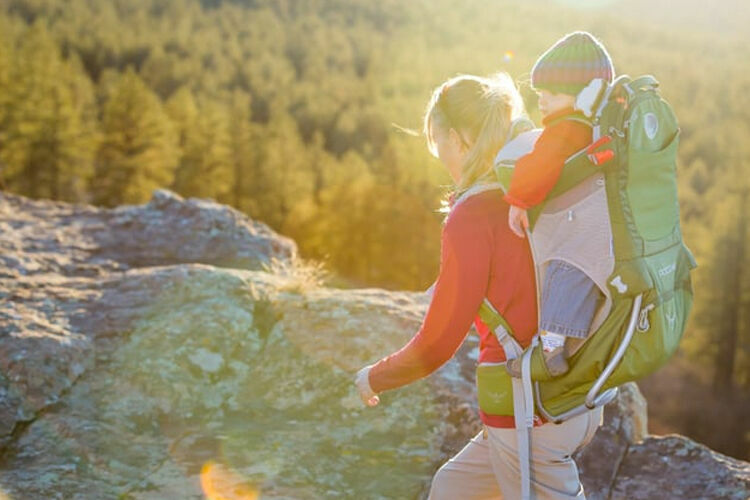 The Aussie-designed Frog Orange baby carrier ($139) is made from wetsuit material, so it’s born to be wet and wild. 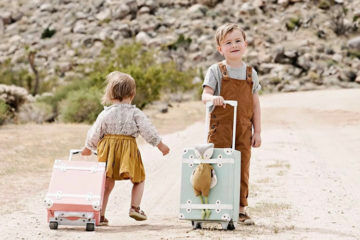 Here are even more essentials for keeping baby cool in summer.